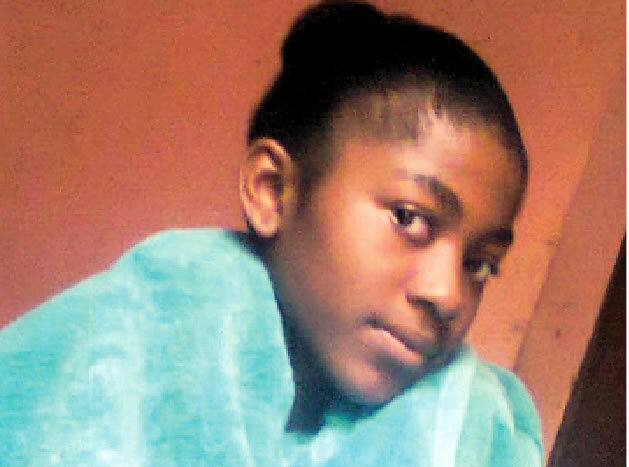 Abducted 15-year-old UTME candidate returns home - BlogIT with OLIVIA!!! A 15-year-old girl, Rita Clement, who was abducted by unidentified persons while on her way to sit for the Unified Tertiary Matriculation Examination in the Ikeja area of Lagos State, has returned home. Punch correspondent learnt that Clement was dropped off by her abductors in the Oshodi area on Wednesday around 9pm, and given money to take a bus back home. PUNCH Metro had reported on Thursday, March 17, 2016, that Clement, who lived with her relatives on Gboyega Kilo Street in the Ojodu Berger area, and had UTME registration number 65061660GJ, went missing on Thursday, March 10. It was reported that she was to sit for the exam at 6.30am on the day she went missing, and her centre was at the West African Examinations Council International Office on Plot B, Lateef Jakande Road, Agidingbi, Lagos. Punch correspondent had reported that at about 5pm on Thursday, Clement sent a text message to her mother’s mobile phone, raising the alarm that she had been abducted and she did not know the location where she was taken to. The matter was said to have been reported at the Ojodu Police Division and transferred to the Special Anti-Robbery Squad, Ikeja. The uncle, Emeka Orazulike, who worked as a pharmacist, had said they had yet to hear any update from the police, adding that he believed in God that Clement would return home. PUNCH Metro learnt on Thursday that Clement walked back into the family’s apartment at about 9pm on Wednesday. She was said to be tired and unable to give the details of her ordeal to the family members. Punch correspondent gathered that the family on Thursday went to the Ojodu division to make a statement that the teenager was back. They, thereafter, proceeded to the SARS office, Ikeja, where the operatives took Clement’s statement. Punch correspondent observed Clement, Orazulike, and three other family members at the Command headquarters, Ikeja. The SARS operatives thereafter kept Clement with them, instructing the family to come for her in the evening, preventing the teenager from being interviewed by journalists. Orazulike, said the teenager’s narration so far was that she was taken to an unknown place, but was asked to return home on Wednesday when her captors got tired of her. He said, “For now, we know that she was taken to Abeokuta, Ogun State, by the abductors. But on Wednesday, the men brought her to Oshodi. The Lagos State Police Public Relations Officer, SP Dolapo Badmos, said she had interviewed the girl and her explanation showed an abscondment rather than being abducted. According to punch, their correspondent asked Orazulike the ‘abdscondment theory’, he said the girl had not told him about that.